You can be the best damn car or house cleaner, but when your inflatable hot tub looks like Shrek’s swamp, your dead in front of your friends. When Should You Clean Your Hot Tub? When cleaning a hot tub, you don’t want to do it half-baked or resolve to shortcuts - it’s often a bad idea. Bacteria, dirt, grime and other pollutants can still be lurking in an improperly cleaned hot tub. But yes, I wholeheartedly agree that hot tub cleaning can be quite a chore. However, following this guide will show you that the task is quite easy (even your grandma can do it!). All it takes is some effort, a few tools and about two to three hours of your time. Cleaning your inflatable spa requires three crucial stages: drain, clean and refill. Each stage requires several tasks which will be discussed below. Turn off the hot tub’s power so you won’t get electrocuted (people literally die because of electrocution, so please don’t skip this step). Remove one of the drain plugs to deplete the water in the tub. 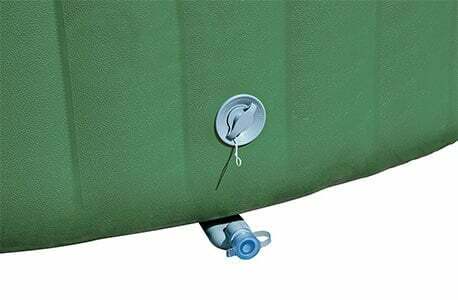 Plug in the garden hose to the opened plug so you can redirect where the water leads. To accelerate the draining process, use a pump. Place the pump in the lowest area of the tub. Take out the filter units by unscrewing them from the standpipes. Stick the plugs or stoppers to fill in the holes where the standpipes were. Leave one unplugged. Use the garden hose to sprinkle pressurized water into the dirty filters. Keep at it until they are pearly white or until traces of brownish materials are gone. You can also use other tools such as a small brush, especially if you want to clean hard to reach places. 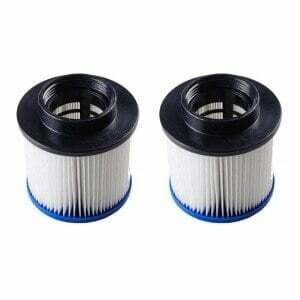 ​Going back to the filtering unit, plug in your shop vacuum into the unplugged hole. Make sure it is in “blow” mode. Turn the power on and this should blow out most of the dirt that is inside the pipes. ​When you’ve finished draining the water in the main tub, move on the filter unit. Drain the water from the filter unit using the same hose and pump. When the filters have dried, you can put it back in place again. Put on your cleaning mittens and wipe the surface of the hot tub and filter unit. Once you are done using the mitts dispose of them in the garbage can. They aren’t meant to be reused. To ensure you are removing all the dirt, apply a second wiping but this time using a cloth towel. ​Put back the drain plugs again to the main tub. Reassemble everything to once they were including the filtering units. Attach a running hose to one of the gray holes in the filter unit and fill the tub with water from there. ​Whe​​​​​n the tub is filled with water, turn on the power. ​Finally, switch on the clean cycle. After cleaning the hot tub, the next step is ensuring that the water quality is up to standards. This involves steps such as balancing its chemical levels, adjusting its pH balance, checking for calcium hardness and ensuring the water’s alkalinity is just right. Because this whole process is entirely a different topic; we have to discuss it in another post. The bottom line is these next steps involve chemicals and is geared on maintaining the quality of the hot tub’s water. Hot tubs are great for relieving the bodies ache and pains while giving us a relaxing feeling. 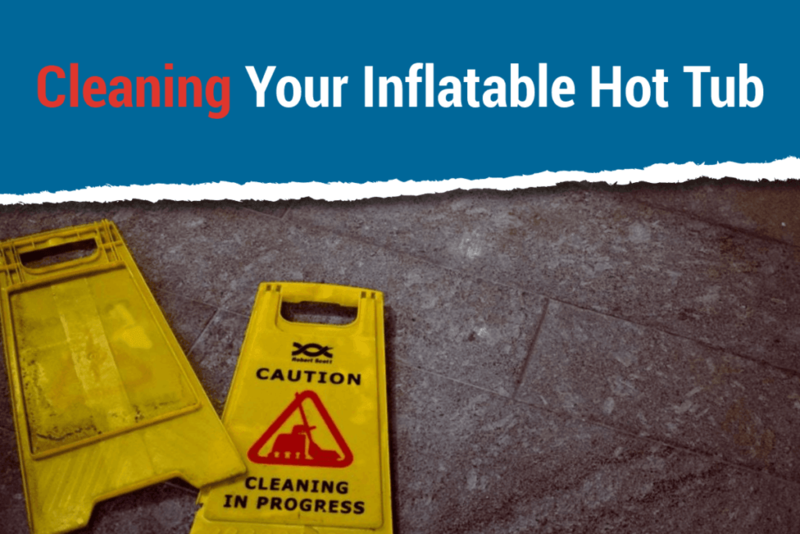 It’s in YOUR best interest to maintain its cleanliness now that you know how to clean an inflatable hot tub. If you want to continue to benefit from the soothing effect of getting in your hot tub, you should have a scheduled cleaning time for it. Don’t wait for the tub’s water to be murky before cleaning it. Clean it at least once every 2-3 months, depending on how much you use the tub. Moreover, treating its water with chemicals also have schedules that are daily and weekly. Please refer to your user manual to get clear instructions.